A downside of hot summer weather is the onset of the ‘flying insect’ season as many winged pests appear. Among them are mosquitoes, a particular nuisance as they’re often difficult to detect until it’s too late and you’re sporting an itchy bite. Hot and humid weather encourages them even more so it may be time to do battle with them as best you can. In the UK alone there are some 30 species of these small pests and worldwide it’s an incredible 3500. 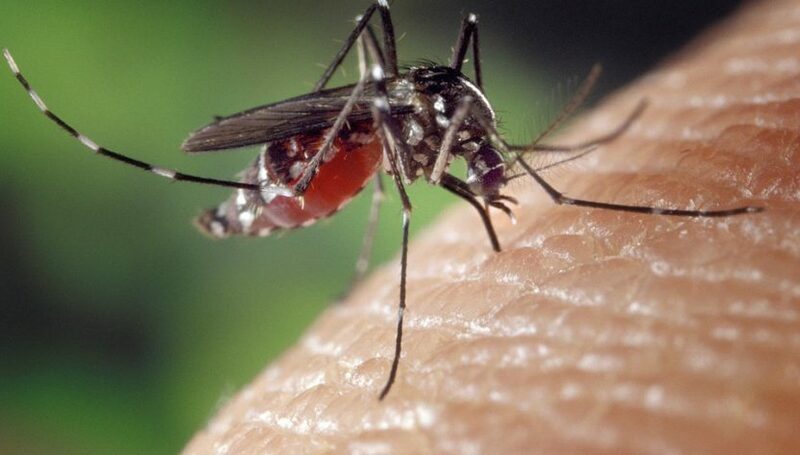 They’re responsible for spreading one of the world’s most dangerous diseases, malaria, although in the UK the consequence of a mosquito bite is usually limited to an annoying itchy area that calms down in time. There could be an exception to this with the possible arrival of a more dangerous species, the Asian Tiger mosquito. This strain of the insect was accidentally introduced to southern Europe in the 1970s and has been working its way further north since. If this species gains a foothold on UK shores, implications could be serious as they transmit debilitating diseases such as dengue fever. Mosquitoes love hotter temperatures; in fact they don’t feel comfortable in anything less than around 26 ℃. They also thrive in areas of still or stagnant water such as marsh areas, ponds and areas around a property such as water butts, guttering, bird baths or even a small pool of standing water; this is where they lay their eggs and the young mosquitoes live in these moist conditions until they reach adulthood. Prevention is best of course so try and keep mosquitoes at bay as described above, and certain repellents are known to give good results especially those based on DEET (Diethyltouamide). Even a repellent with just a 20% DEET content can protect for around five hours and a weaker repellent with around a 10% DEET content is safe to use on infants from the age of around two months. Plant based chemicals such as lemon eucalyptus offer a degree of protection too. It’s a fact that some people are more prone to others from mosquito bites. There are some theories as to why some people get bitten more than others, but much of it is put down to generalities such as the amount of breath exhaled: mosquitoes detect human presence through body scent and carbon dioxide emissions from breathing, so those exhaling more than others may get more mosquito attention. General scents made up of sweat and acids found on the skin differ from person to person so may influence the mosquito’s choice of victim. Some say blood types are more popular than others with those of blood group ‘O’ being the most popular, but this isn’t proven. Mosquitoes are attracted to darker coloured clothing but the theories for this vary: some say it’s because darker clothes retain more heat and mosquitoes are drawn to hotter environments, while others say it’s because the pest can visually detect darker shades more easily. If you do get bitten, then you usually only find out after the mosquito has helped herself (only females bite) to some of your blood and flown away. It’s possible more mosquitoes are likely as air climate changes to a warmer one overall so knowing how to combat the threat could be well worthwhile.